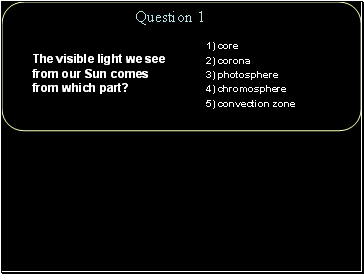 The visible light we see from our Sun comes from which part? 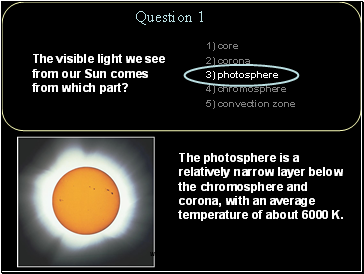 The photosphere is a relatively narrow layer below the chromosphere and corona, with an average temperature of about 6000 K.
The Sun is a ball of charged gas, without a solid surface. 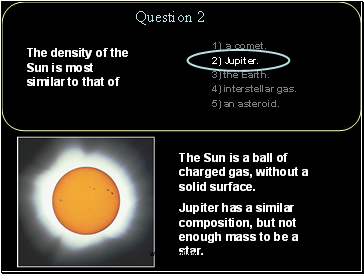 Jupiter has a similar composition, but not enough mass to be a star. 1) gravity balances forces from pressure. 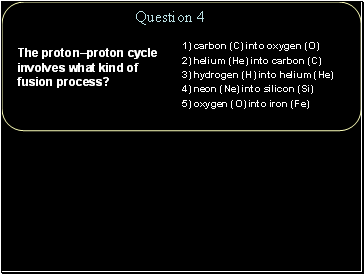 2) the rate of fusion equals the rate of fission. 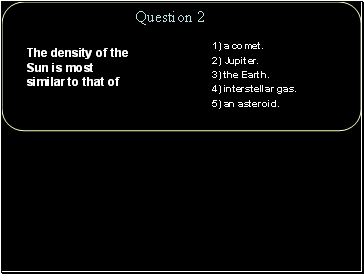 3) radiation and convection balance. 4) mass is converted into energy. 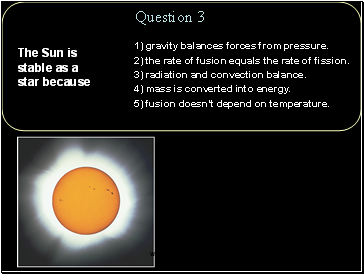 5) fusion doesn’t depend on temperature. 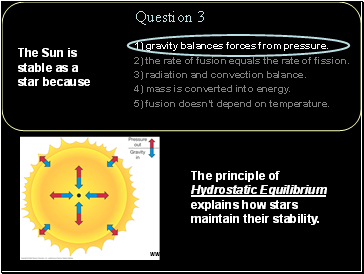 The principle of Hydrostatic Equilibrium explains how stars maintain their stability. 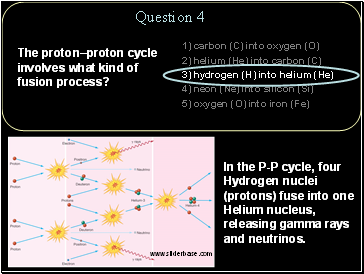 The proton–proton cycle involves what kind of fusion process?